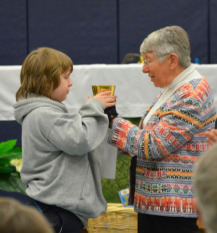 "Saint Katharine Drexel parish pledges to be a Eucharist-centered, welcoming community, forming loving disciples, giving selflessly in realization of the Kingdom of God." 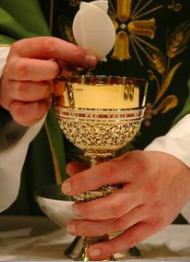 We are a Eucharistic people. We are brought together by our sharing in and our embodiment of the Body of Christ. As a community we celebrate liturgy, come together for prayer and quiet reflection, and mark the moments in our lives where we experience the presence of God. We welcome you to explore the opportunities for worship and prayer within the community and the ways that we prepare to celebrate the sacraments of the Church. Click here for the detailed information about the liturgical life of the parish, including the weekly schedule for daily Masses and prayer opportunities.